Some close formation flying with Harvard I 1340 flying from Camp Borden on April 5, 1940 with Sgt Don McKay at the controls. Harvard 1340 was taken on strength on November 21, 1939 and struck off on March 30, 1946. A frequent occurrence with training aircraft. Harvard II 2505 sits stranded on the runway at Camp Borden in July 1940, only a month after being taken on RCAF strength. On October 25, 1953, 2505 was written off after a crash at Moose Jaw, Saskatchewan. 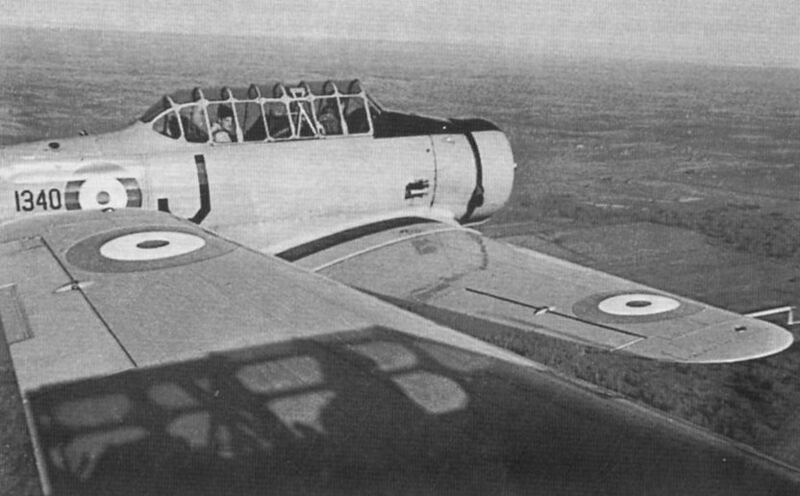 Harvard I 1332 of 1 Service Flying Training School (SFTS) at Camp Borden, Ontario in 1940. Formerly R3522, this Harvard was taken on strength on May 15, 1940 and was struck off charge on September 21, 1944. The aircraft appears to be undamaged in this incident. 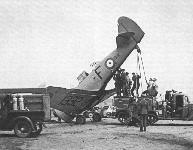 Harvard I 1327 overturned at Thornton, Ontario in July 1940. This A Flight aircraft from Camp Borden was taken on strength on August 17, 1939. The result of another night-flying accident, this time to Harvard II 2573. This 4 SFTS machine crashed on take-off at Saskatoon on January 26, 1941 having been taken on charge on September 26, 1940. 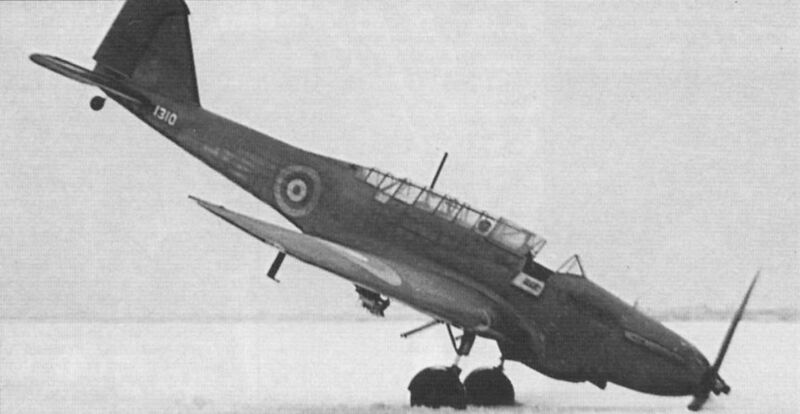 Battle 1310, formerly RAF aircraft P2198, is pictured at Camp Borden on April 1, 1940 after hitting soft snow during its landing run. The Battle was taken on strength on August 29, 1939 and was finally struck off charge on November 4, 1944. 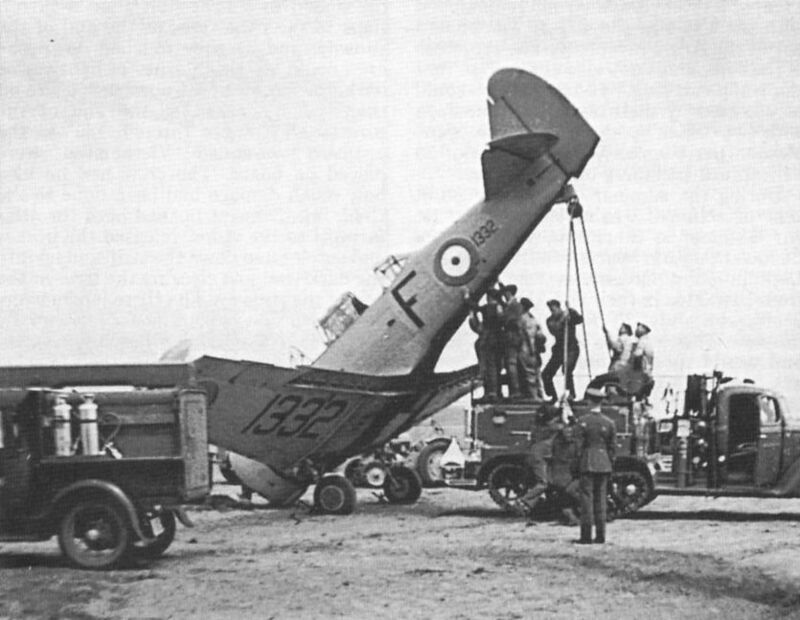 Oxford II 1511 at Camp Borden on March 1, 1940 after a night flying incident. Fg Off Clark came out of it with only a broken nose. Anson I 6048, formerly R3522, at Camp Borden in 1940. this ex-RAF Anson was taken on RCAF strength on May 15, 1940 and was finally struck off charge on September 21, 1944.